What do you get when you mix the indie, fighting, party, and platforming genres, then sprinkle superhero aesthetics on top? I imagine it would look something like the bombastic, split-second, twitch-reacting SpeedRunners. 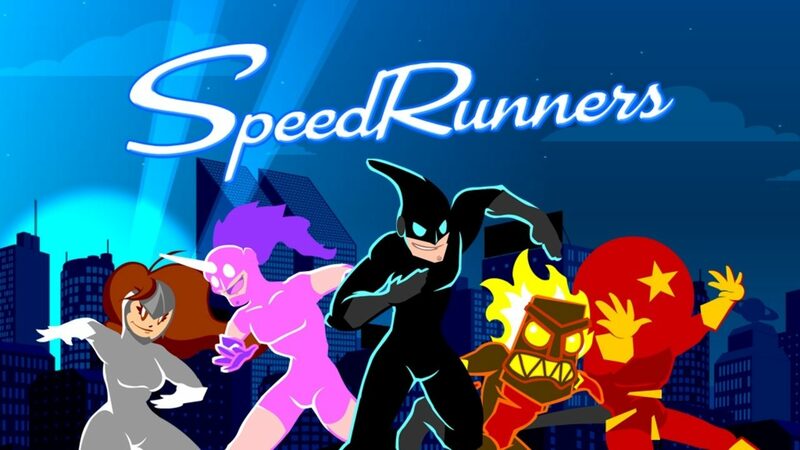 Developed by DoubleDutch Games, SpeedRunners asserts itself as a wholly unique experience and a refreshing take on the speed running/platforming formula many games try to emulate. 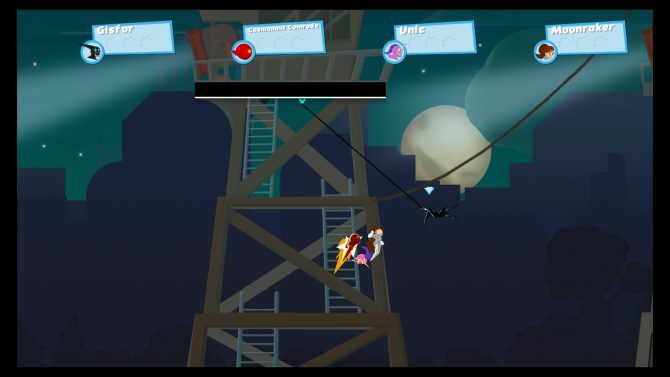 Now out on PS4 (after having been released last year for Xbox One and after an extensive Early Access period on PC), SpeedRunners is a multiplayer platformer that is all about going fast. Your goal is to speed run, obviously, and you do this on an endlessly looping level filled with traps and disasters to slow down your runner. As you loop through the level, your goal is to move fast enough so your opponents are pushed off the screen, knocking them out of the race. There is a certain amount of satisfaction in beating your slow friends who may have left you waiting in other games. To further speed up the competition, when the first of your speed runners hits the edge of the screen not only are they eliminated, but a countdown begins and the screen begins to get smaller and smaller until it is only a few inches wide. This leads to complete pandemonium as the remaining runners are scrambling to remain within the confines of the ever-decreasing diameter of the screen. It’s in these times where Speedrunners truly shines and becomes an exercise in just staying alive as you try to avoid becoming complacent and slipping up. Regardless, the last person standing earns a point and the first to three points wins the overall match. 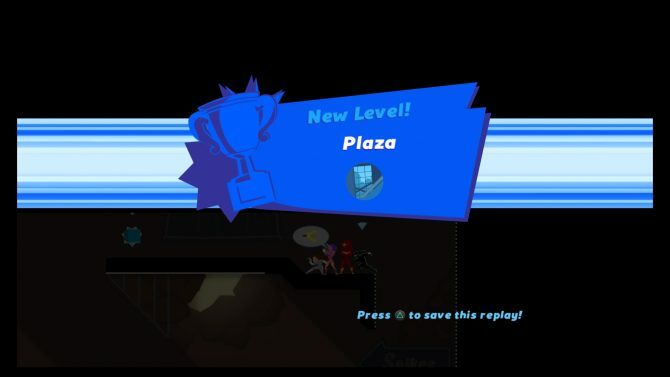 SpeedRunners ends up being largely a competitive game and, while there is a single player experience with a very basic “story,” the bulk of the title — and where you will find the most of enjoyment — will be in multiplayer. 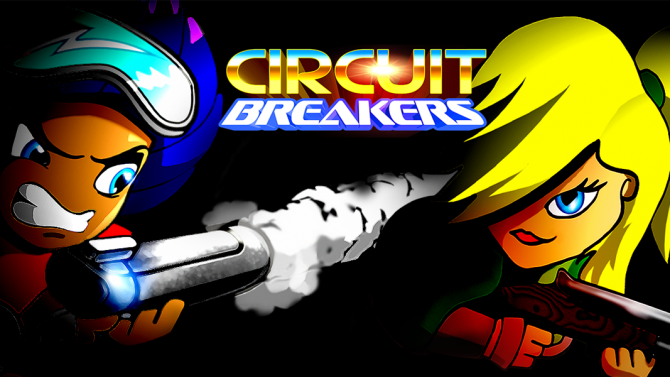 In single player you race against bots on four difficulty levels, ranging from pathetically easy to the aptly named Unfair difficulty which was nearly impossible to prevail. The higher difficulties require a mastery of skills and even playing stages multiple times to memorize where every trap and shortcut is was essential to remain competitive. This can be a concern as the camera sometimes has a hard time catching up to the first place runner, which in turn makes it hard to see what’s coming up next in the level and if you don’t have a course memorized you will most like be hitting walls or obstacles. As stated before, the main draw of SpeedRunners is the multiplayer and this can be played competitively locally or online. If you’ve ever watched two high level speed runners go head-to-head then you know how intense the action can be and how one small mistake can make a huge difference in the results of a race. DoubleDutch has essentially captured that essence, and have essentially designed a whole game around this premise which is truly awesome. To start off, simply learning and mastering the running and jumping is enough to succeed early on, although a bit of luck always comes into play. The real difficulty begins to ramp up when the game introduces the many obstacles, pitfalls, and hazards you will have to maneuver through during your high speed races. All of the levels are filled with many annoyances, ranging from simple boxes and spikes, to more elaborate contraptions such as trap doors and wind tunnels to really make things difficult on your runner. Where the stakes are truly raised is in the game’s power-ups. After every race you earn a set amount of experience depending on where you finish and this unlocks new stages, characters, etc. but you will also unlock new power-ups as well. 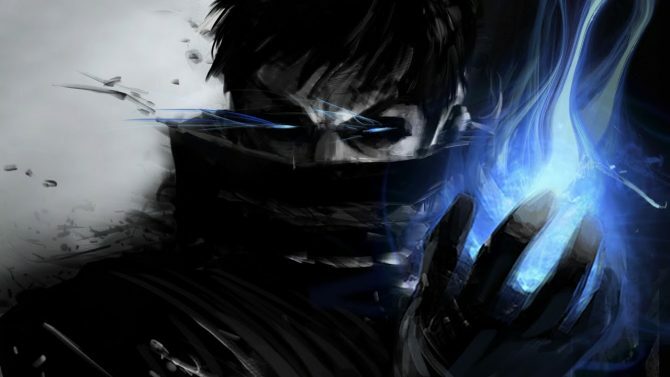 Each power-up has different perk such as the golden hook which helps you pull runners in front of you behind, or ones to help if you are in the lead, such as additional blocks characters can trip over. On top of these, there are power-ups consisting of fireballs, rockets, sonar waves, and ice beams, which can really make a difference in who wins and who loses. It was immensely satisfying (or depressing if you were in the lead) to have a Super Mario Kart blue shell-like power up steal victory away from an unsuspecting victim. Along with the power-ups, every character has a speed boost and this can be used offensively or defensively. If you are able to time the boost when an opponent is near the edge, this could give you the tiny push to edge them off. Similarly, if you are in last place, boosting can immediately get you caught up with the competition. Boosting is not unlimited though, it needs to be charged up at specific boost pads in a level. To be the best speed runner you can be, it is required to memorize where every speed boost pad is and making sure to hit every one. 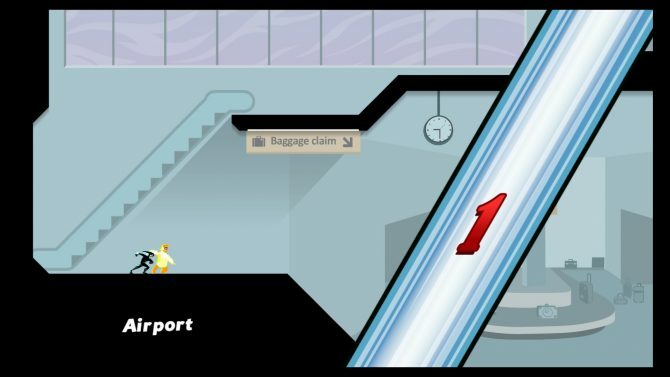 Also, every character has a slide which can be used to trip someone or slide under low hanging obstacles. This does slow your momentum so timing is of absolute importance. Of all the skills you have at your disposal, the one which was difficult to master but essential for victory is the grappling hook. This tool can allow experienced players to swing large distances and not lose any momentum. The hook cannot be used freely, though firing it at specific ledges can give you a huge advantage. Again, timing is of utmost importance and not letting go of the grappling hook at the right time can send you swinging in the wrong direction towards your demise. 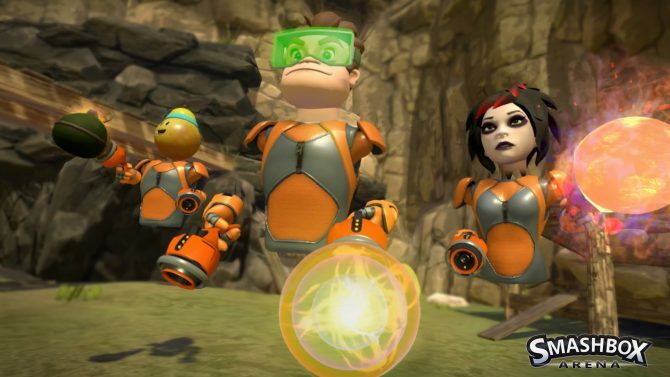 I really appreciated the amount of customization in the character designs and found myself laughing out loud at their over-the-top costumes and personalities. The stages are also nicely varied in appearances, from traversing city rooftops to running through bustling casinos or nightclubs, they provided a welcome change of pace, although the stage structures largely remained the same. Also, the accompanying big band soundtrack fit the tone and fast paced nature of the game. SpeedRunners has officially become a title I will continue to enjoy coming back to for playing with friends and for satisfying my inner speed running dreams. 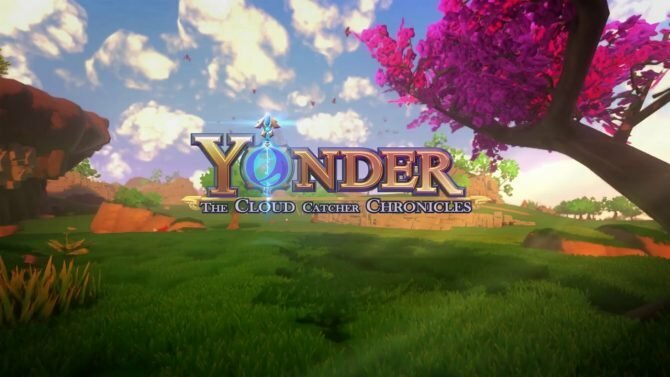 While the single player experience is lackluster in execution and how the bots are controlled leaves much to be desired, the real winner of this title is the multiplayer and the amount of modes to quench any fan of speed running. Its addictive gameplay and unique approach to playing party games offers hours of replayability, all the while remaining fun to play. Go and get your friends, on or offline, and enjoy one of the best multiplayer experiences of the year.